Edom is also a volunteer Amharic translator with the Global Voices network, working to make content from around the world accessible for readers in Ethiopia. 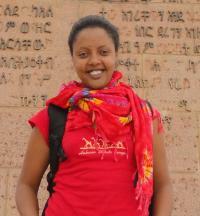 On April 25 and 26, 2014 Mahi was arrested in Addis Ababa alongside Abel Wabela, Atnaf Berahane, Befeqadu Hailu, Zelalem Kibret, and Natnael Feleke (all members of the Zone 9 blogging collective) and journalists Asmamaw Hailegeorgis and Tesfalem Waldyes. They have since been held in Maekelawi detention center with no access to legal counsel. They have not been allowed to see their families. 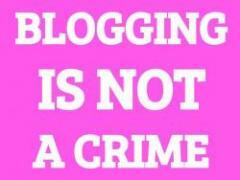 No formal charges have been filed against the bloggers and journalists so far. On May 3 — World Press Freedom Day — Global Voices issued a statement calling for the release of the nine men and women: "We are outraged by this flagrant violation of our friends’ rights to free expression and deeply concerned for their safety. We cannot remain silent."